Congratulations! You’ve found the perfect person to spend your life with! It doesn’t happen often and is extremely exciting – you should be proud! After deciding to propose, the next most important question is, “With what?”. 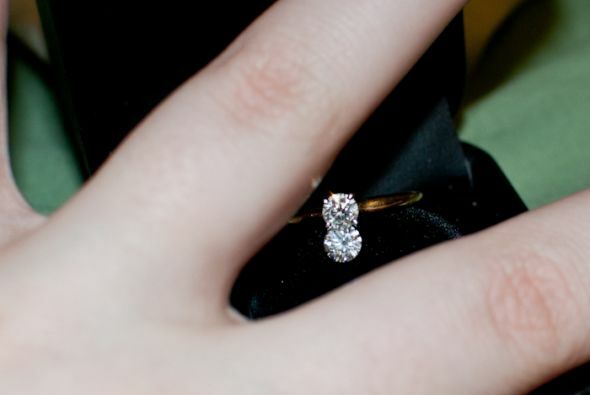 Most women expect a diamond engagement ring, but times are changing. People are aware there are more options. People are aware of the ethical implications of diamonds. And people know there are better alternatives. Moissanite is one of the most popular diamond alternatives. It has a huge amount of benefits (including being sparklier than a diamond), and many less disadvantages (ever heard of “blood diamonds“?). And the best part of moissanite is that it’s MUCH less expensive! Welcome to the site – please browse around our articles and don’t hesitate to contact me if you have any questions! And again, congratulations!